A few months ago we jumped on the smoothie bandwagon and purchased a *Vitamix blender. It wasn’t a cheap investment but I can honestly tell you that we’ve been using it nearly every day and have never looked at it as a bad investment. It was a complete investment in our good health and, as we all know you can’t put a price on that!!! I have to be honest with you here and tell you that some of our concoctions taste pretty nasty and are not at all fun to drink! However, we drink them down anyway because the health benefits far outweigh the occasional short term bad taste. More times that not though, we blend up some really great tasting smoothies. At times we combine both fruits and veggies into one drink and at other times, it’s just fruits or just veggies. There are no rules here. I’ve decided that, when great smoothies happen, I’d like to share with you my particular “recipe” (note – I’ll not be giving measurements here, just ingredients) and a few of the health benefits from each ingredient I’ve used. I’m only scratching the surface when I speak to the health benefits of these ingredients as there is so much more information available (for each item) than what I’ll be listing here. This is just my quick encapsulated version to get you excited about making your own smoothies and how becoming an “avid blender buff” can aid you and your family into becoming more healthy, active and vibrant! 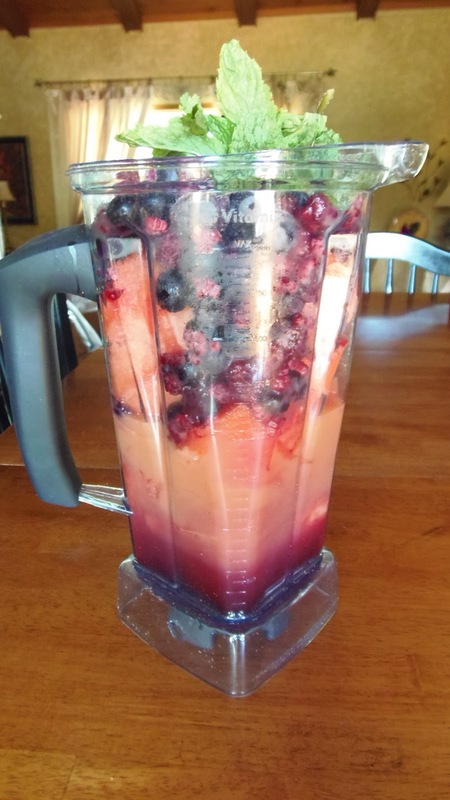 Add all items to the blender and blend until smooth. ll that and it’s tastes great too!!! Drink it up…Your body will thank you! Watermelon – A great source of vitamin A that helps maintain proper eye health! Vitamin B6 which converts protein to energy. Blueberries – A great source on manganese the promotes bone health. BlackBerries – Contain polyphenols that help to prevent cancer and heart disease. Their deep color also helps with memory retention. Raspberries – An excellent source of fiber. They can also reduce inflammation. Pomegranate juice – Contains pantohenic acid, floate, potassium and vitamin K.
Lowers bad cholesterol and reduces plaque from the arteries. Also decreases blood pressure and increases blood flow to the heart. Lime – Contains more vitamic C than a lemon. It increases the body’s resistance to disease and improves digestion. Here’s to you good health! Please visit again as I’ll be add more “recipes” as we continue to experiment with interesting ingredients and combinations. I am not sure if my other comment was published so forgive me if it appears twice. I love your smoothies, have been considering getting a vitamix, my waring blender is on its way out. I start every single day with a smoothie of some sort some good some not so good. I am happy to hear that you love your blender hearing a positive review from a trusted source helps me make my decision about purchasing one. 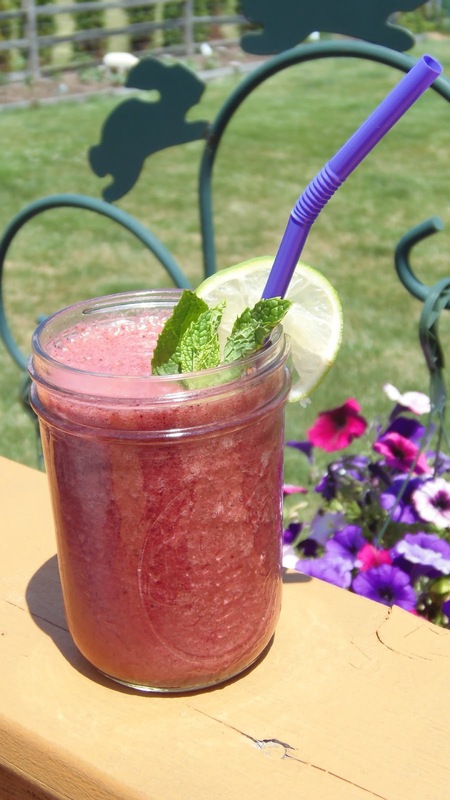 Never put watermelon in a smoothie it sounds wonderful and love the addition of mint. Glad to hear you consider me a trusted source. Thank you! I wouldn't steer you wrong. We love our Vitamix blender and consider it being a very worthwhile purchase. Worth every penny!